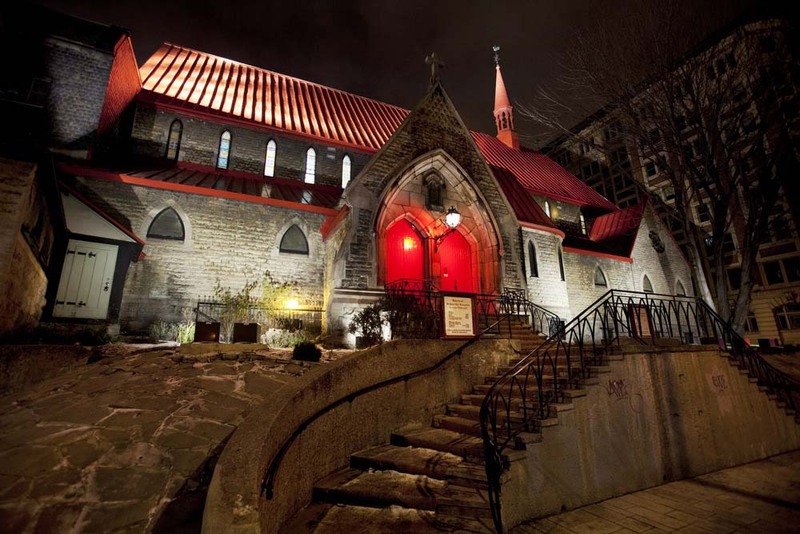 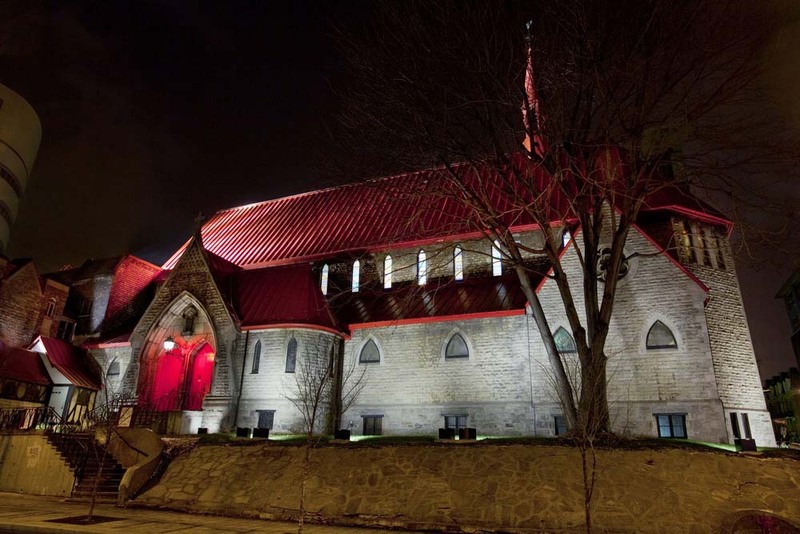 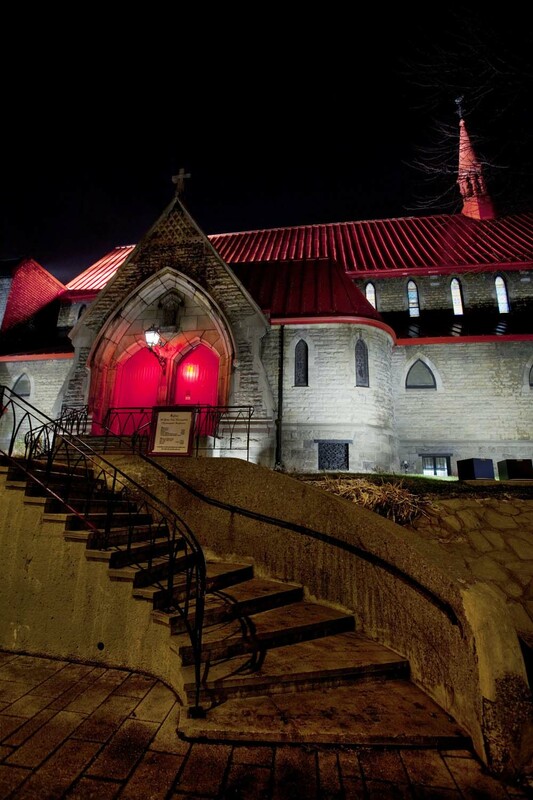 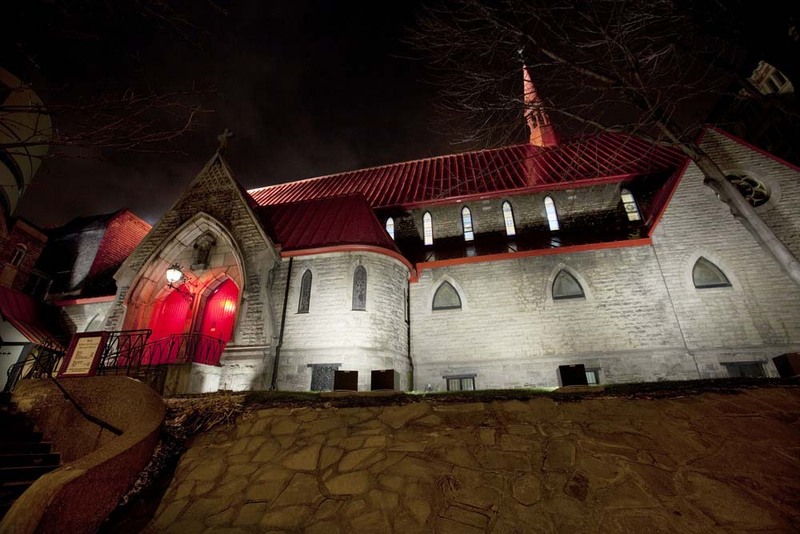 The answer is an external illumination that can be modified depending upon the type of event being held at the building dubbed the Red Roofed Church. 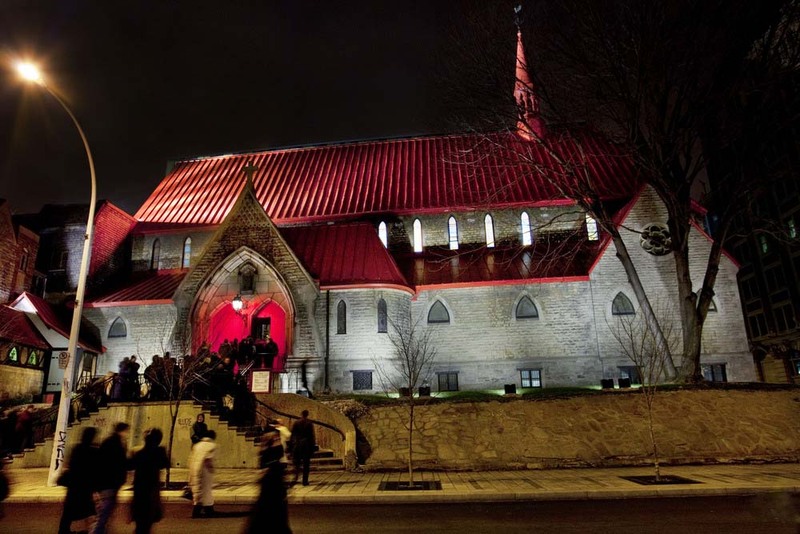 During religious services and mission work the church’s stone façade and red roof are lit in soft white light. 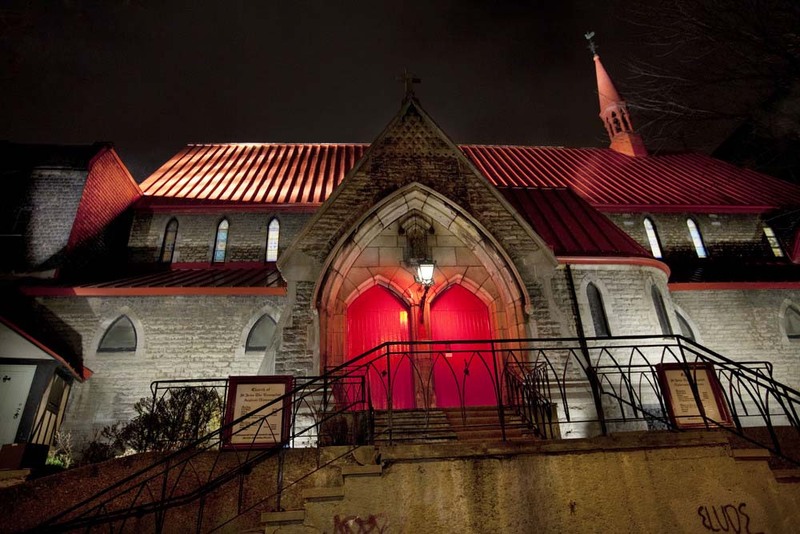 However, when a concert is underway the stained glass windows and main doors are also highlighted with sharp bright light – including a red, in the case of the doorway – creating a much more dramatic presence for the church.